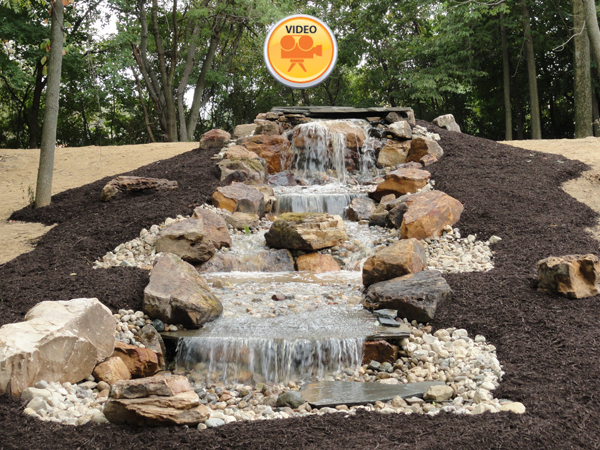 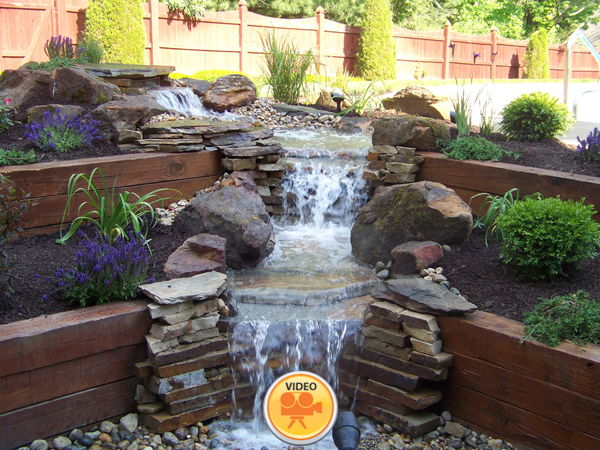 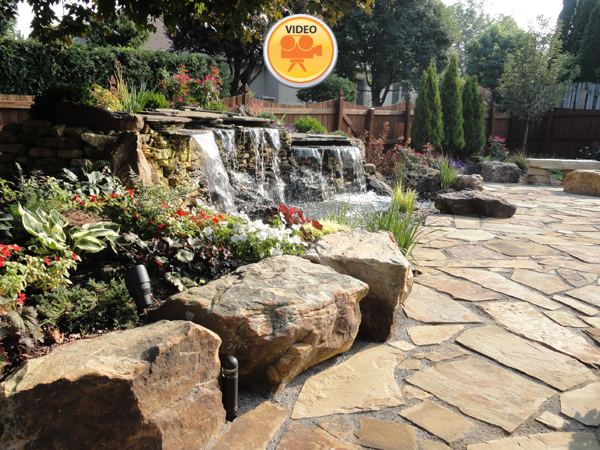 The pondless waterfall is just what it clames to be – a waterfall and/or stream without a pond. 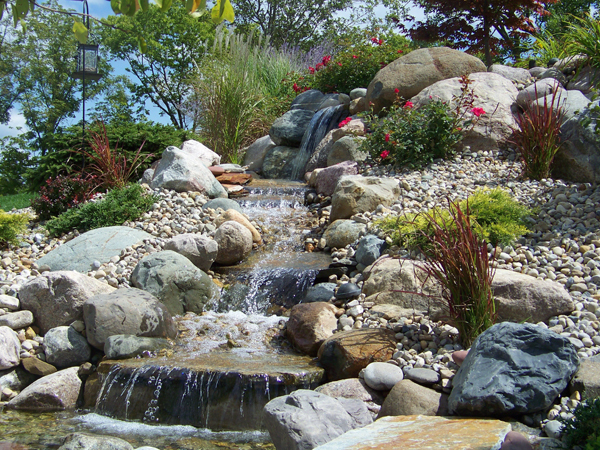 The water simply vanishes at the end of the stream into an underground reservoir where it is pumped back to the top of the waterfall. 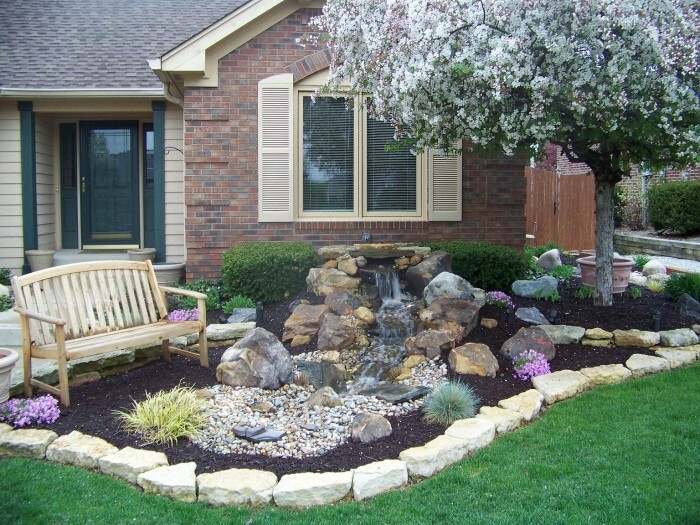 Pondless waterfalls require very little maintenance, unlike Koi ponds. 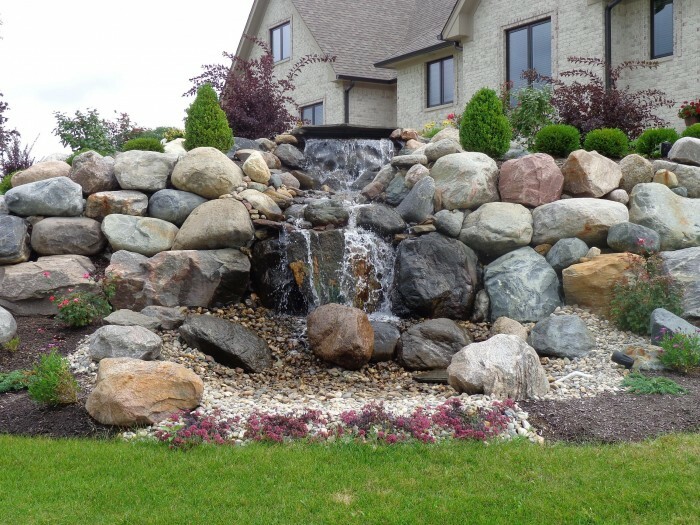 They range from small to large and their prices vary accordingly.